What A Way To Buy Wine! My wife and I truly enjoy a nice bottle of wine. We enjoy discovering a new variety and finding that perfect bottle. But, one aspect of wine buying that always has frustrated me is the liquor store experience. How many times have you been charged with picking up a bottle of wine as a house warming gift or bringing the bottle of wine to your friend’s house for a dinner party? You step into the store and there are endless rows of bottles separated only by white/red, maybe region where originated, and price. Not a good way to buy wine. Ugh! You decide that $10 may be too cheap for the friend’s party so you hit that $15-$30 range, but you’re only making that decision because you perceive a $20 bottle of wine to be better than a $10. Is that any way to buy wine? What a shot in the dark. Well, I was recently in Manhattan for business and was walking down a street in SOHO when I saw a store called Bottlerockets. I fell in love instantly. 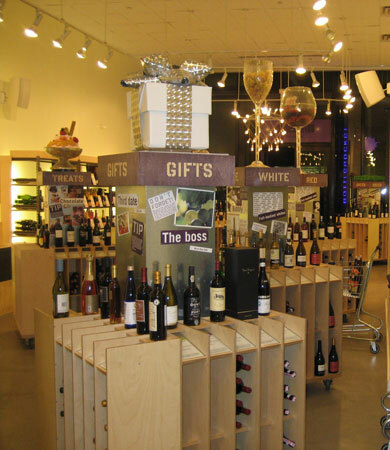 Voted the best wine store in New York, this place has mastered the wine buying experience. Need to buy wine for a gift for the boss? How about find a wine paired with a certain food or just takeout? Have an occasion that needs the perfect wine? Or, are you looking for wines selected by famous critics? Bottlerockets has organized the wines based on the consumer’s needs. Whatever your need, you’ll have a variety of options that make the experience fun, educational, and easy. If that isn’t enough they have a wine book store and a kids nook stocked with toys to further compel the busy parent to take a few seconds and stop in. This is how you should buy wine. I don’t know enough to walk through endless rows of bottles and select a variety that is right for my tastes or for other factors. I’ll typically go by bottles I know I like or by a price range. Bottlerockets changes that. I’d be more adventurous and focus more on the experience of a good bottle of wine rather the price. Hats off to Bottlerockets! I wish they had a store in Minneapolis. They’re a small business that has created a buying experience focused solely on the needs of the consumer. Small business marketers can learn a thing or two from Bottlerockets.